Our experience in drainage technology helps us to provide special products for tunnel construction and its associated infrastructure. ACO tunnel drainage systems include standard products and solutions that are created specifically for particular projects. You want to benefit from our years of experience with tunnel projects? Contact our experts from the ACO tunnel team now. As a global market leader in drainage technology, ACO has set itself the challenge of developing special products for tunnel construction and its associated infrastructure. The diverse range of climatic conditions in tunnels and the respective local variations require solutions that are both ecological and economical. ACO tunnel drainage systems include not only standard products such as the Monoblock T drainage channel, but also solutions that are created specifically to suit the needs of particular projects. ACO has the experience and appetite for innovation that are crucial when it comes to implementing solutions for the specific requirements of today's tunnel facilities. Our quality products allow planners and tunnel operators alike to enhance convenience and safety in a whole host of areas. And for those that use the tunnels, this makes our brand promise all the more significant: The ACO Group. A strong family you can build on. 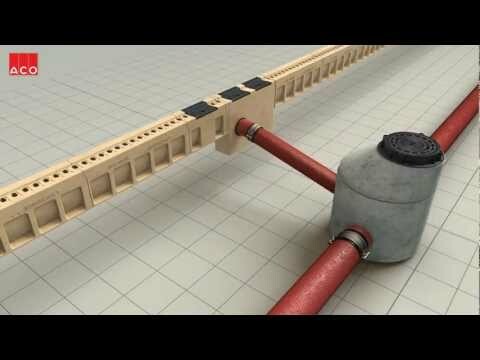 You need help with the drainage systems for your tunnel construction? Contact our experts! ACO has provided drainage solutions for different tunnel projects around the world. View our references! The ACO Group is a world market leader in drainage technology. Get to know us!